Nature is stronger than humankind in every aspect. It is logically understandable that a part cannot be stronger than its whole. Every day we see humans challenging nature, we need to understand that sometimes, they are going to fail. This is true for astronauts who are pushed forward by a strong and determined willpower for knowledge. Their attempts to challenge nature and its boundaries are linked to the desire for knowledge and, more importantly, the desire for the advancement of humankind and science. 30 years this month the Challenger exploded during liftoff, since then society has been wondering how to properly memorialize the fallen astronauts. PHOTO VIA WIKIMEDIA COMMONS. 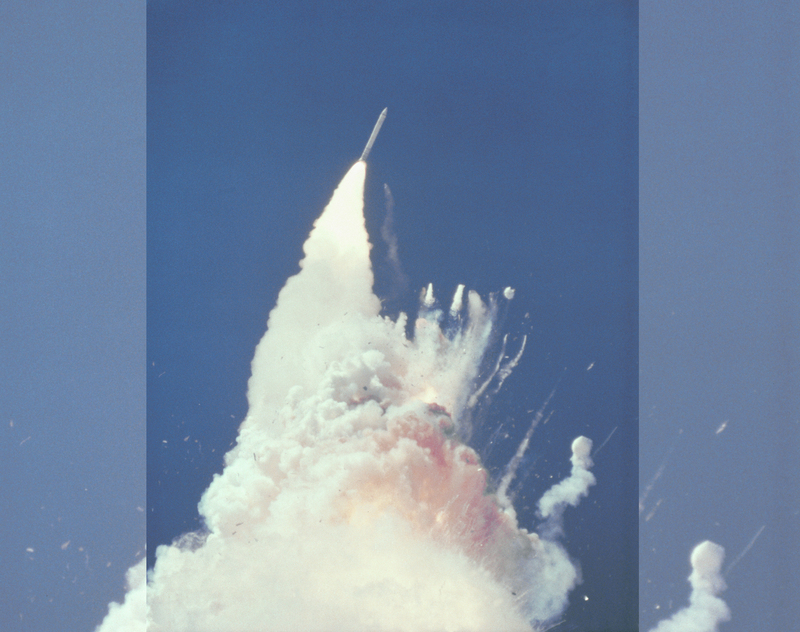 However, not every space mission is successful, and as Nadia Drake wrote in her article “The Challenger Astronauts Deserve a Memorial — in Space,” the space program has suffered tragedies in the past with failed space missions, like the Challenger and the Columbia. We already know that some memorials, such as plaques, were left on the surface of the moon. The plans for the future of space memorials seem to be wider than this. In fact, Drake interviewed June Scobee Rodgers, widow of Challenger Commander Richard Scobee, and Alan Stern, a planetary scientist who was sending two experiments into space on the Challenger. The two seemed to have different, yet innovative, opinions about the memorial for the fallen astronauts. “I would want it to serve a purpose, other than just being a static satellite,” Scobee Rodgers told Drake. For Scobee Rodgers, it would be nice to have an orbiting memorial that rotates around the Earth, where it could be occasionally be visible from the surface of our world. On the other hand, Stern had a different idea on how to honor fallen astronauts. “What if very human spaceflight, every time, carried a memorial — the same memorial”, Stern said to Drake. That would be a way to remember those pioneers who lost their lives, and it would be a constant reminder for the astronauts traveling around the universe. Both would be valid choices to remember those who fatally failed on their mission. In fact, the same memorial carried in every mission could be a means to make the fallen reach the destination that they were supposed to achieve. It would be a sign of fraternity among astronauts and a symbol of respect toward them — something that would stand for if you fall, that would help you rise up again. On the other hand, the orbiting memorial would, in the same way, be an excellent memorial. In this case, it would serve all of humankind, including the astronauts themselves. In this case, the orbiting shuttle, or whatever it would be, would serve the purpose of reminding us that the victims took this huge risk for us in order to discover more about the world and the universe. Traveling to space has always been somewhat unrealistic, but death is real and we need to acknowledge that there are people out there willing to risk their own lives for humanities’ sake. The least that we can do is keep them in our memories forever.